Join Us For Dance-A-Palooza 2018! Loudoun Abused Women Shelter provides a full array of comprehensive services to adult and child victims of domestic and sexual violence. Besides providing emergency shelter, LAWS also delivers assistance to victims at our Community Services Center where we provide counseling, legal services, support groups, parenting classes, advocacy, and community outreach. 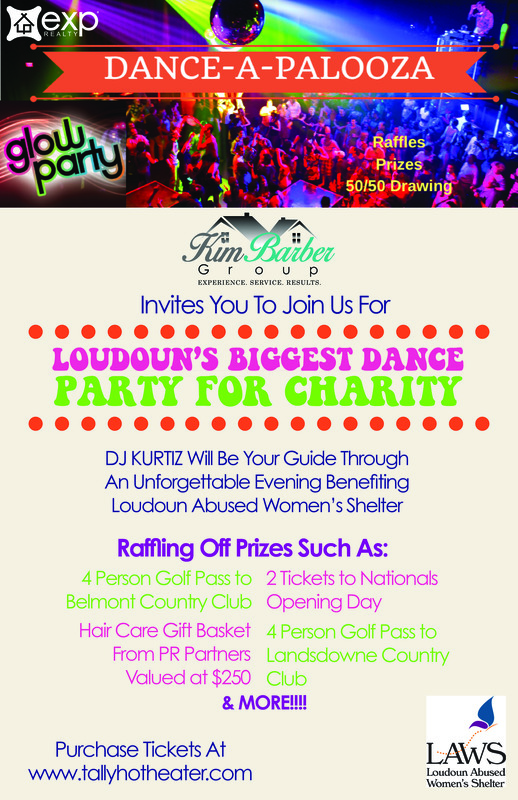 LAWS also runs the Loudoun Child Advocacy Center. The Center is a public/private partnership among Loudoun County agencies and organizations dedicated to child victims of abuse and/or neglect. Their work is incredibly important and we would greatly appreciate you joining us to dance the night away for charity! Will be an amazing time!